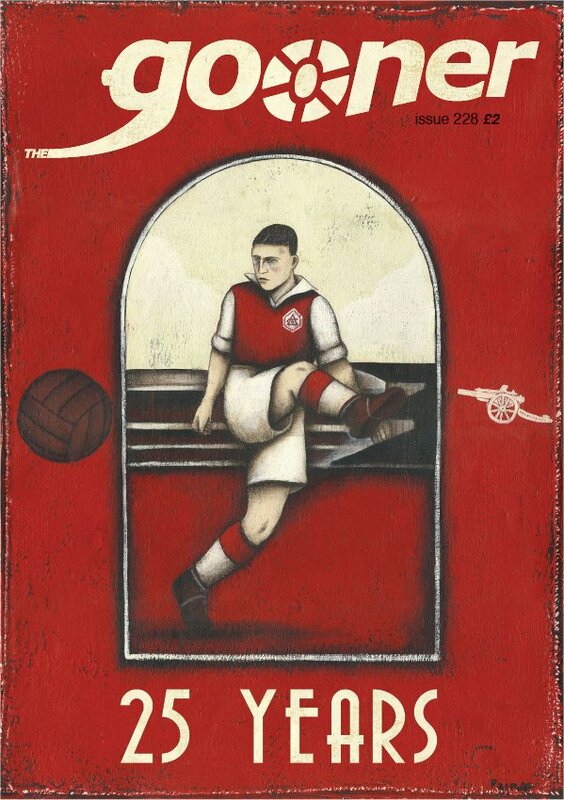 Issue 228 of The Gooner from October 2012 which marks 25 years since the first issue hit the Highbury streets and we’ve gone for a wonderful piece of artwork by Paine Proffitt on the front cover to mark the occasion. 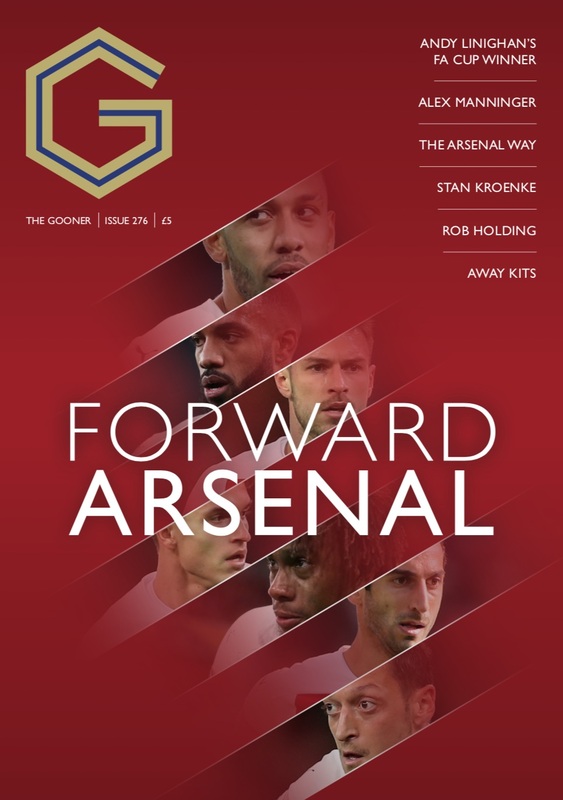 There is also a four page timeline feature of The Gooner’s first 25 years which recalls some of the landmarks and achievements we’ve witnessed since 1987. Elsewhere, in the aftermath of the shocking truth finally being revealed about the Hillsborough disaster, Mark Halfpenny writes about how the disaster could have happened to supporters of any one of the top clubs in the 70s and 80s, who regularly put their (misplaced) trust in the authorities when travelling to semi-finals at neutral venues. There’s a fascinating chat with Kieron O’Connor, who is better known in the blogosphere as the Swiss Rambler, the Arsenal fan behind the award-winning blog, Swiss Ramble. 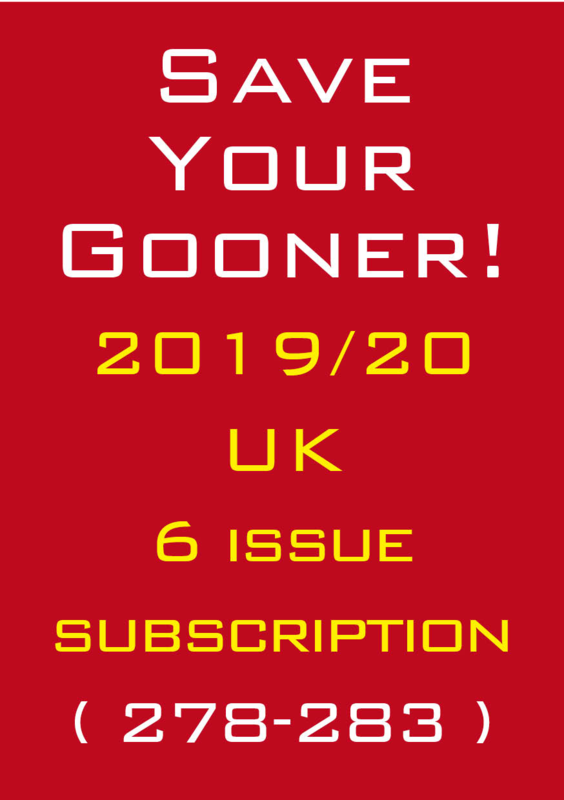 Kieron provides a brief insight into his motivation for the blog and talks about the latest accounts Arsenal have released ahead of the club’s AGM in October. There’s also an article in which Cathal Kearns argues the case for why we should concentrate our energies on supporting our current players, rather than wasting them on those who have moved on, whilst Ricky Butler has noticed that, although Spurs fans will often remind us that it’s lucky for them when the year ends in 1, there’s also one year every decade which is particularly significant for Arsenal. 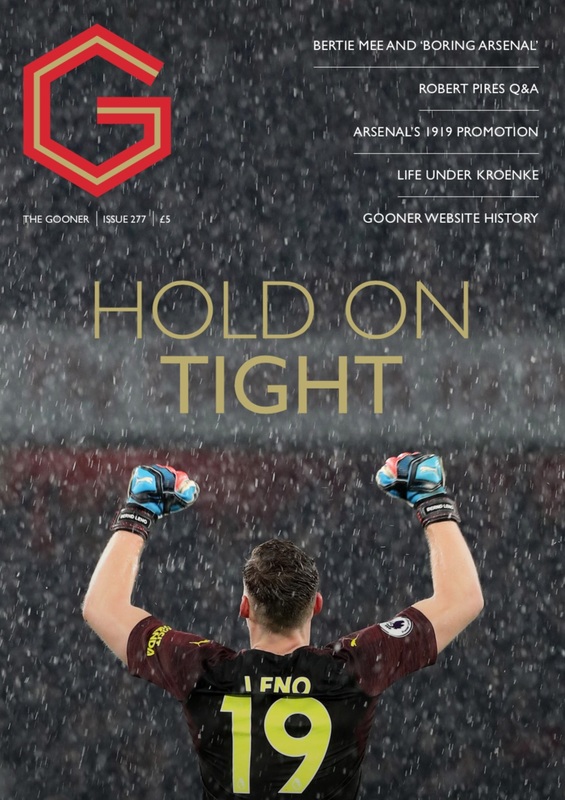 There’s also many of the regulars - the Highbury Spy, Mickey Cannon, Inbox, match reports and In the Away End which ventures into West Ham chatrooms this issue. Plus much more including in Rixy’s Believe It or Not, details of Pat Rice’s long-standing Abba secret.